Looking to bring in more customers to your garden center? Having great products and services is a start, but having a solid marketing plan in place can seriously benefit any small business’s bottom line. 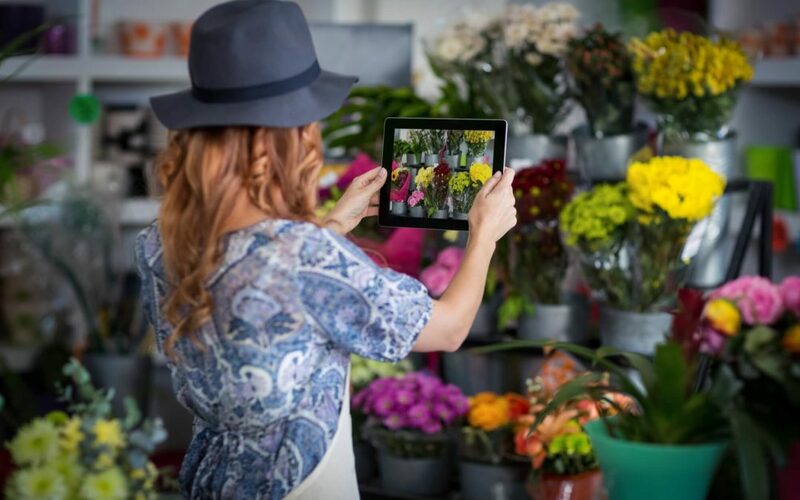 Read on to learn 4 growth-promoting garden center marketing tips that can help you grow your business from the moment you implement them! Hosting a gardening contest is a great marketing tactic to foster community with the customers that support your business. You could hold a contest each season to build awareness and foot traffic into your store. You can get creative with the style of the competition. For example, you could host a scarecrow competition in the autumn. Competitors would need to use homegrown fruits and vegetables as decorations to qualify. Don’t forget to offer a prize that makes customers feel valued. Rather than a discount or gift card, these portable gazebos would make great prizes that pair well next to a beautiful garden! Garden centers have a unique advantage compared to other businesses. That advantage is that the products and services are directly related to the quality of someone’s garden. Social media platforms like Instagram and Facebook are driven by visuals. Take advantage of that. Post image and video content of beautiful gardens, gardening tips, and more! Posting regularly will keep you in your customers’ minds while they’re scrolling through social media. You could even use Facebook advertising to offer special discounts, sales, and offers to your target customers. Facebook ads often cost far less than traditional advertising. Speaking of content, if you’re looking to get more people to your garden center’s website, content-driven SEO can help you achieve that goal! Start by setting up a blog on your website. You could blog regularly with gardening tips, recipes, and guest blogs from happy customers. Post consistent, valuable content on your blog. Your website will be more likely to appear in the top search engine results when customers search for garden related items. Don’t forget to keep in contact with your current and future customers using email. Email marketing is a strong marketing channel for following up with customers. It can also help drive repeat business. Your email marketing could consist of a monthly newsletter. You could also send weekly coupons or a series of emails that tell the history of your business. You can use tools like MailChimp or Activecampaign to manage your email lists. These tools will allow you to schedule bulk email blasts, design beautiful campaigns, and monitor how many people opened your messages. These four garden center marketing tips will get you on your way to grow your garden business like well-watered plants! Which marketing tactic do you think will resonate most with your customers? Not sure where to get started with your garden center marketing in the digital space? We can help! Contact us today and we’ll answer any questions you have!